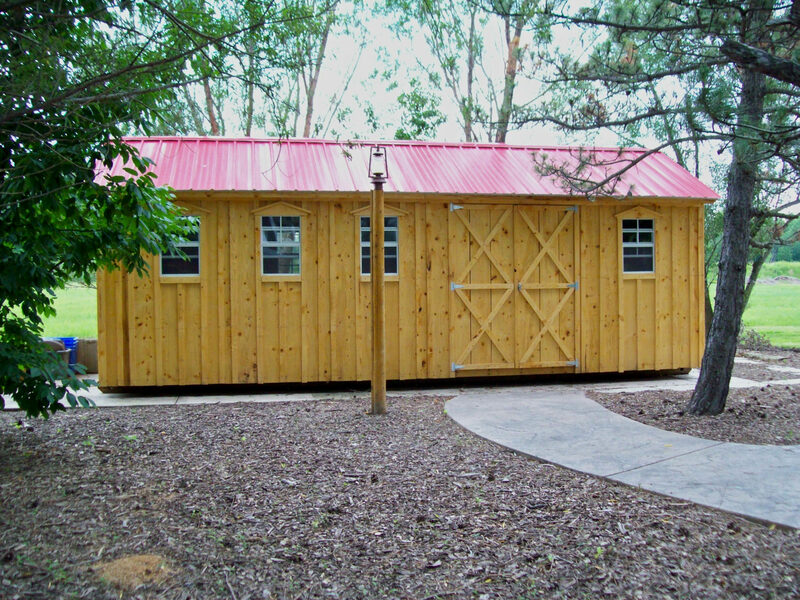 Walk through and around our completed sheds, the video shows the gable and barn style roofs. 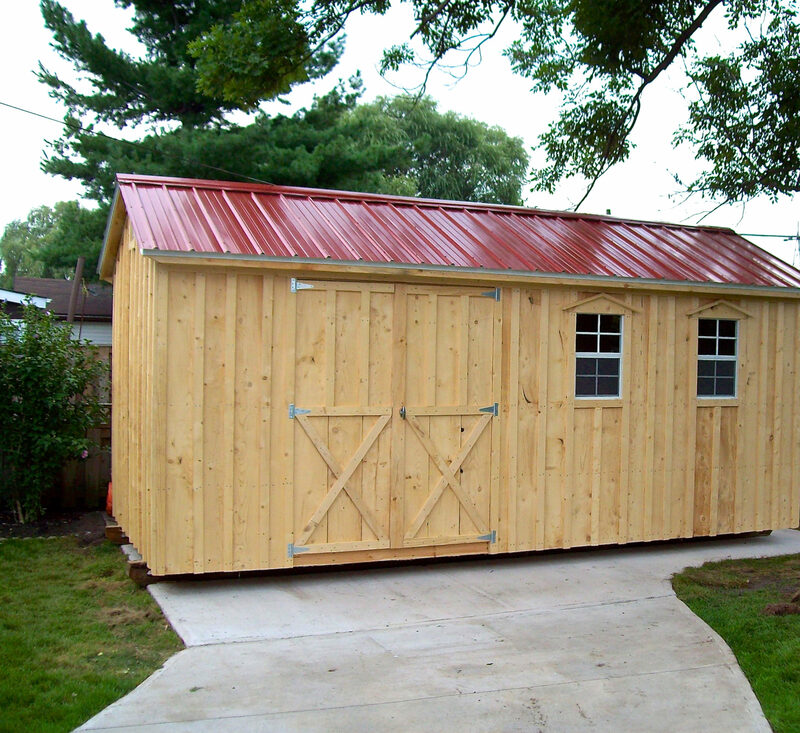 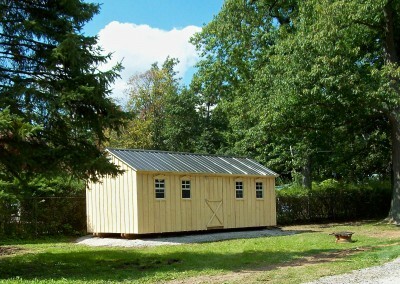 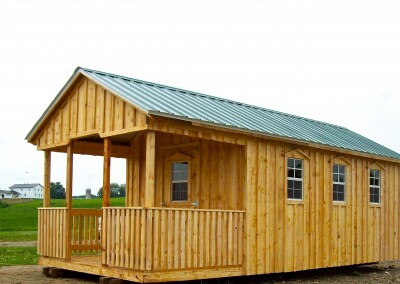 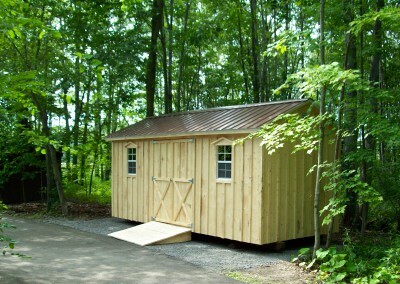 Don’t have the space to have a fully built Amish Shed delivered to where you need it? 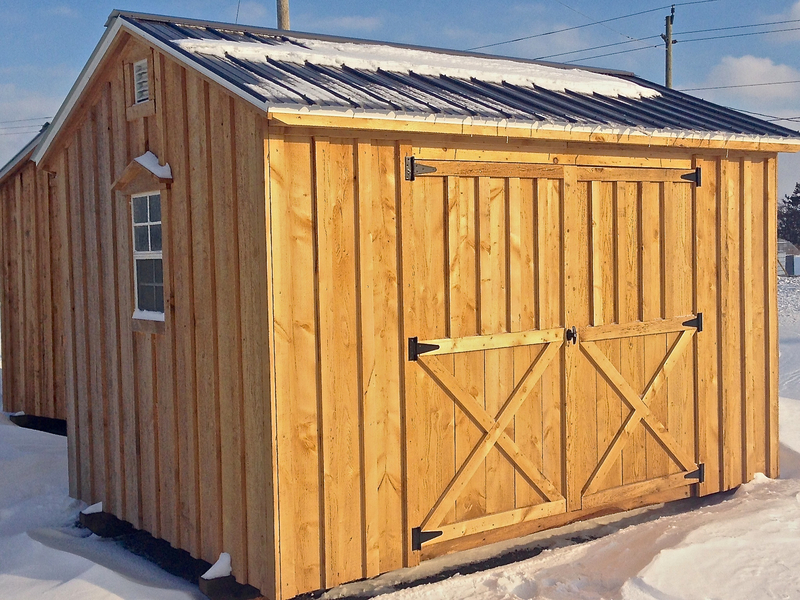 Order a kit and put it together yourself and a friend (watch our video). 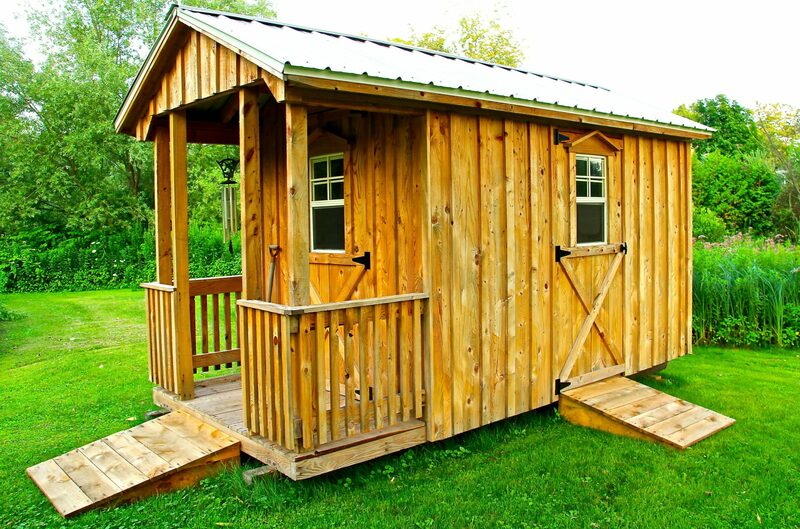 All kits come with generic assembly instructions and drawings. Kits are limited to size depending on delivery access. 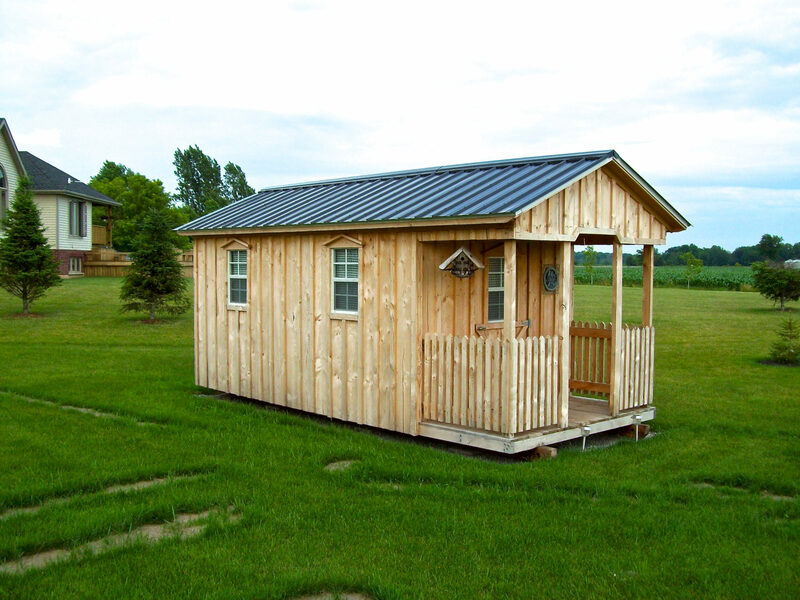 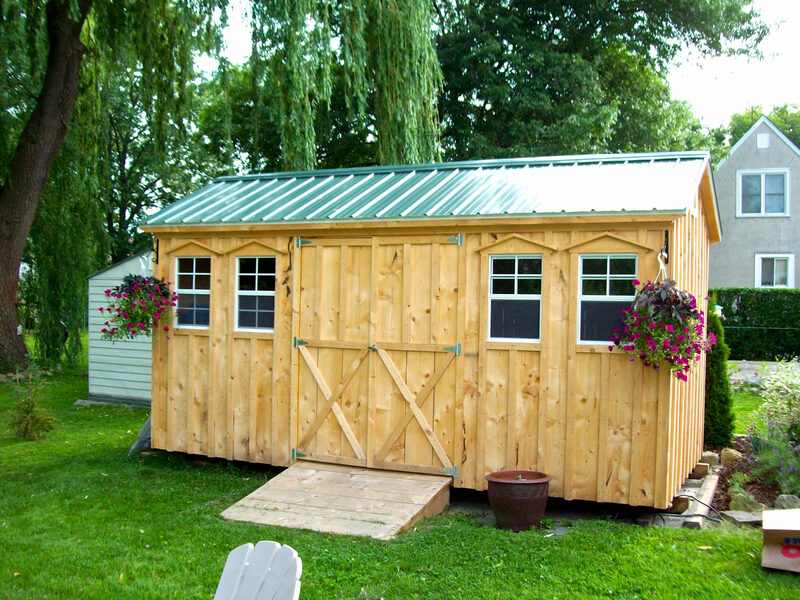 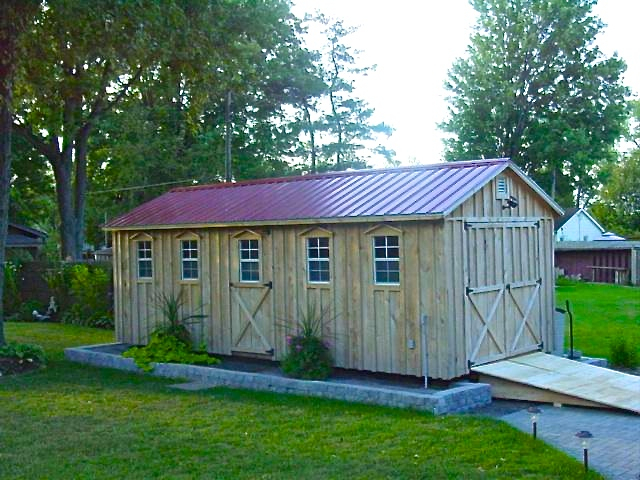 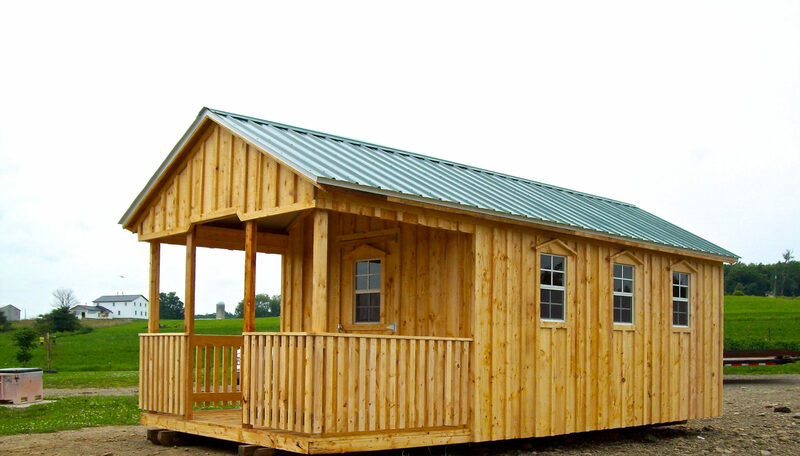 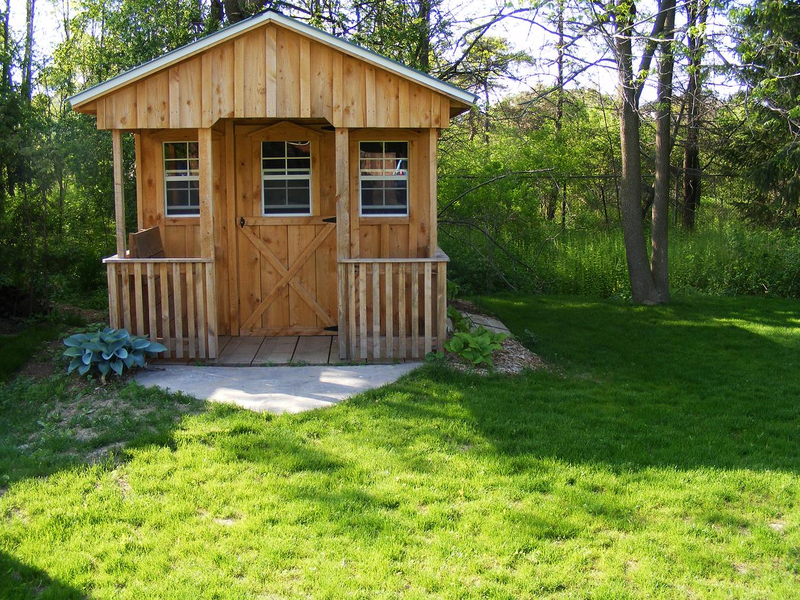 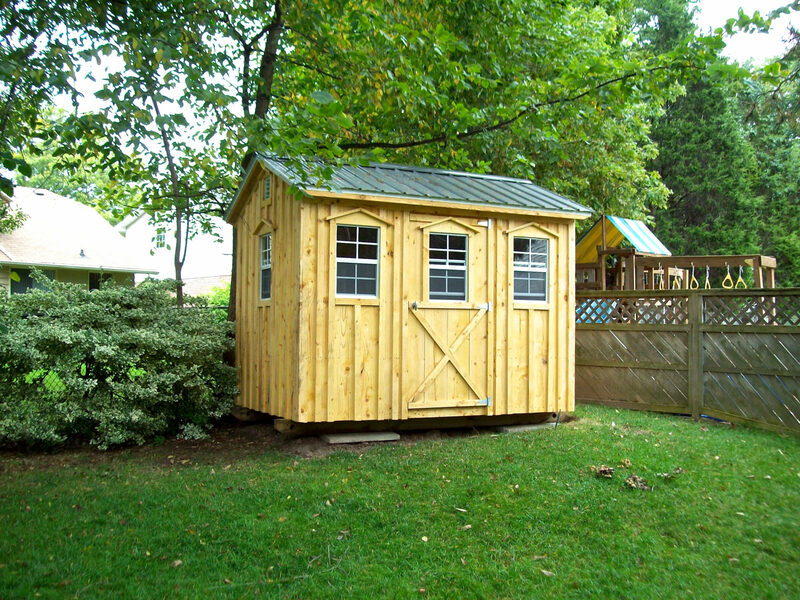 For ease of assembly and safety, all kits require 3/4″ plywood floors and the 1″ Hemlock roof planks All other shed options and designs apply. Please inquiry about the size that you are interested in. 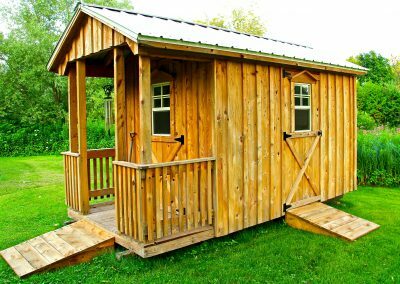 Don’t want to build? 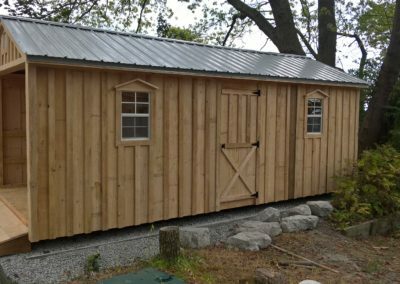 Crane it in!!! 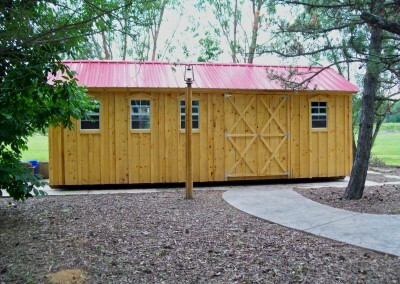 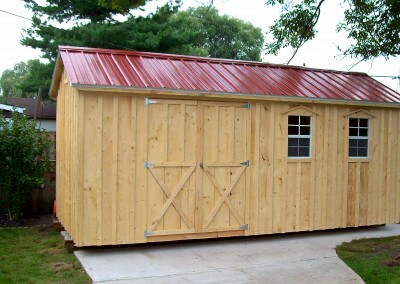 If you don’t have the truck access, and don’t want assemble the kit, our fully built sheds can be craned into position. 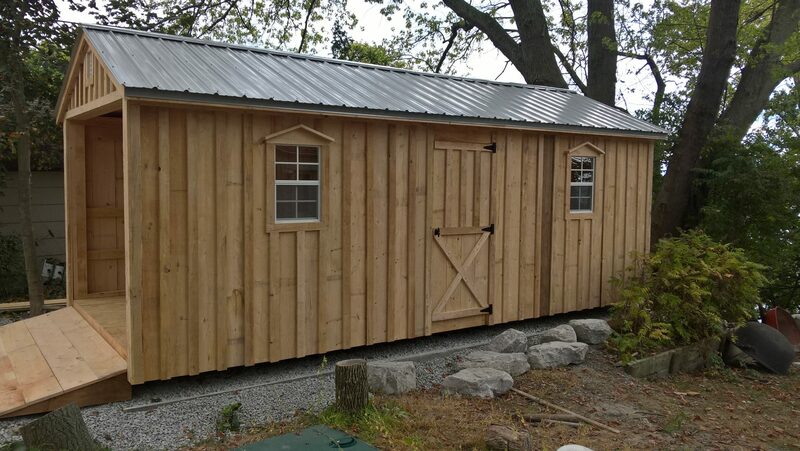 We have an Engineer’s Stamp stating that our sheds are 100% self-supporting, non-permanent structures that can be moved almost anywhere and do not need to be anchored down. 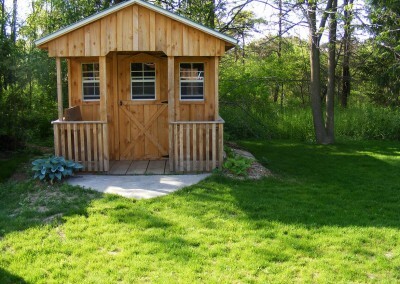 They can be placed on a few patio stones or a 6” deep, 3/4” crushed gravel base; a concrete pad is NOT required. 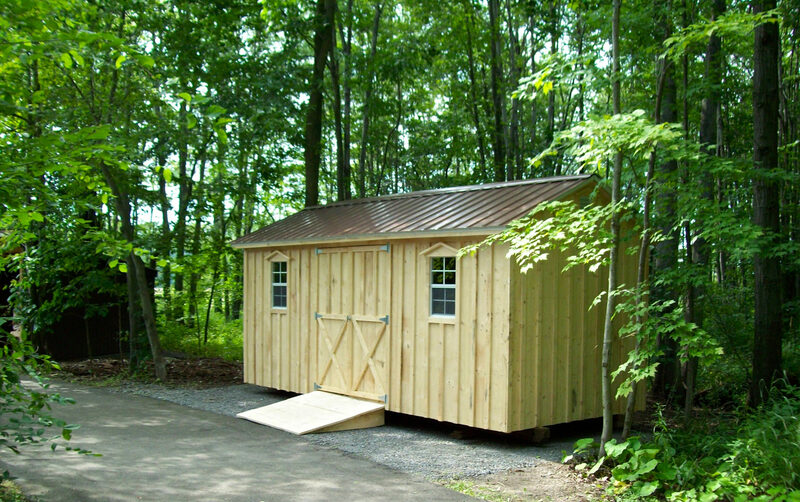 All sheds are delivered to your site as a fully assembled building. 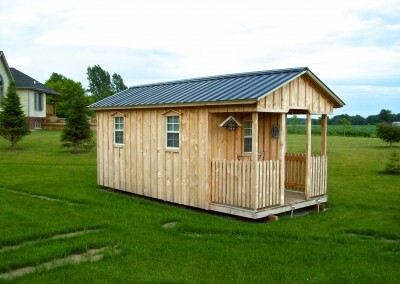 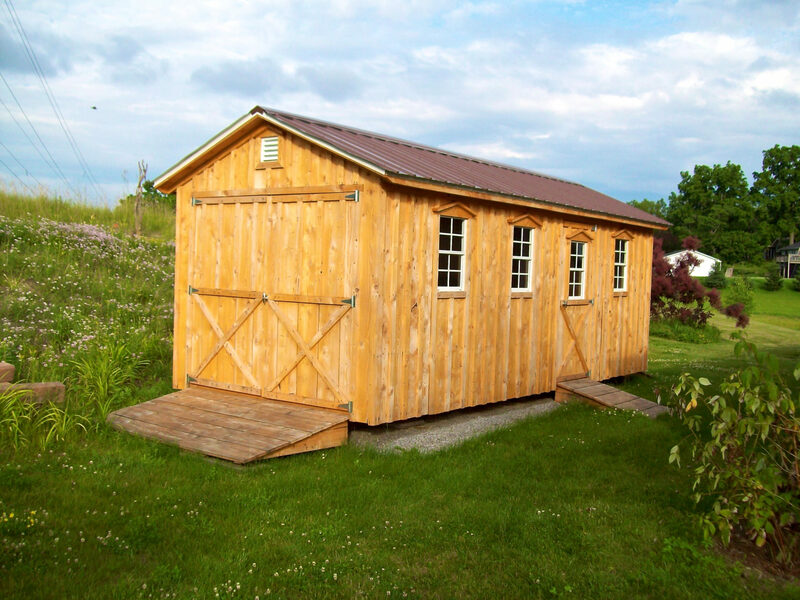 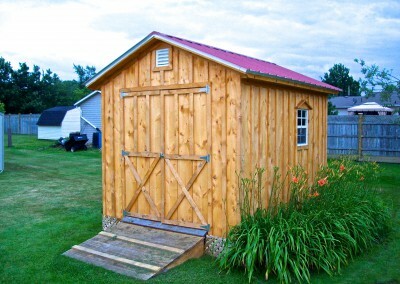 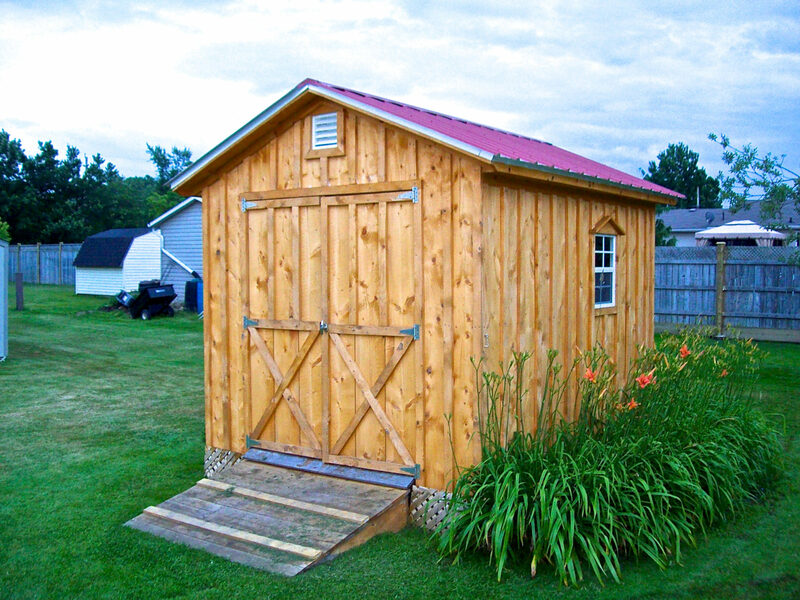 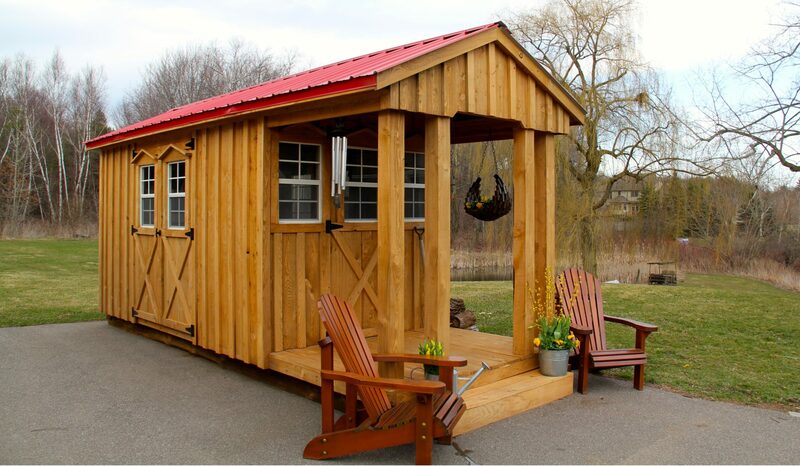 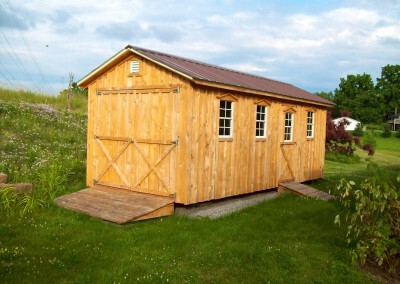 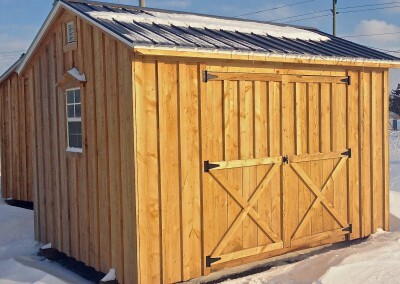 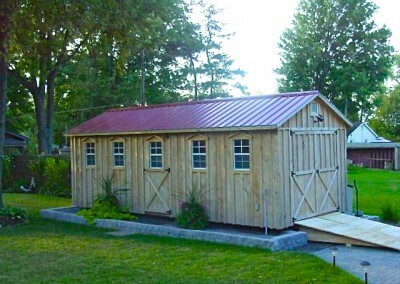 (Amish Shed Kits Available) They are built on 7″ skids made of Larch wood; designed to keep your shed off the ground to prevent it from rotting, allowing your shed to last a ‘lifetime’.